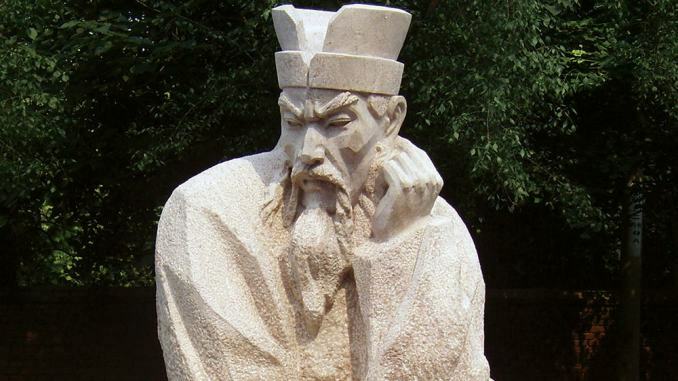 A modern Chinese statue of Shang Yang. Some spoke out against the ridiculous test, while others praised it. All were arrested. During this time, the state of Qin was a remote region on the fringes of Chinese civilisation lying in the mountains that hug the west banks of the upper Yellow River. In the fourth century B.C., Qin’s ruler Duke Xiao began a search for capable men to help him lead his land and people to greatness. Shang Yang’s reforms also focused on maximising harvests to support large armies. Known to the people of other Chinese states as “tiger and wolf divisions,” Qin soldiers entered battle with little sense of chivalry or regard for their own lives as long as it meant reward and status for them and their families.